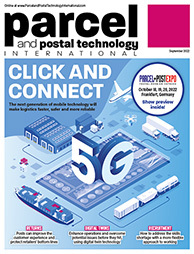 The World Postal Business Forum, organised by the Universal Postal Union, is a key highlight of the 2019 PARCEL+POST EXPO event. The UPU provides exclusive access to postal industry leaders from across the globe, who will discuss the most important trends, opportunities and solutions to harness technology and revolutionise the post and parcel industry. The PARCEL+POST EXPO LIVE Innovation Showcase will once again provide delegates with the chance to see the latest and future technologies demonstrated during the conference. With special sessions featuring the very latest in drone delivery solutions, sorting centre robotics, autonomous delivery vehicles and future technologies, the LIVE Innovation Showcase really is a must-attend event for every postal and delivery company. If you would like to make a presentation at the PARCEL+POST EXPO 2019 Conference, please click below to submit your proposal.